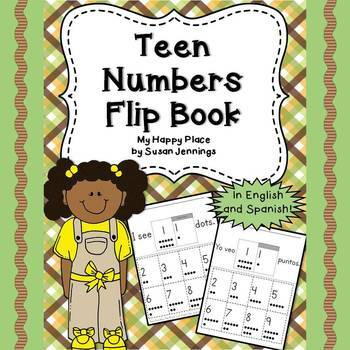 This common core aligned flip book provides a fun way for students to practice reading teen numerals. Have the students cut on the dotted lines and then stack the numeral cards. Staple the cards to the top portion (where indicated). Have the students point to the words to read their new book! This activity helps kindergarten students with beginning place value understanding as well as numeral identification. I have now included a Spanish version of the book!